Archie was rehomed in April however due to a disagreement with another dog in the house he is now looking for a new placement. As we are not sure what triggered the situation we are going to say he would be better as an only pet. Definitely no cats! Ideally his humans would be home most of the time as he can be naughty if left for long periods. 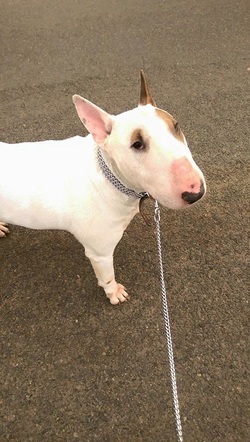 Archie has been fine meeting children but has not lived with any, as he is lively and clumsy older children only. 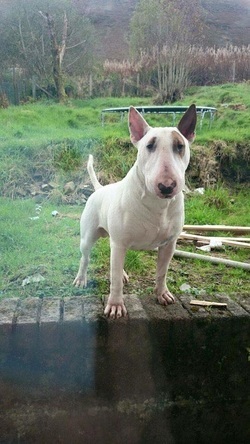 Archie is an English Bull Terrier and is 3 years old. If you are interested in adopting Archie please contact us . 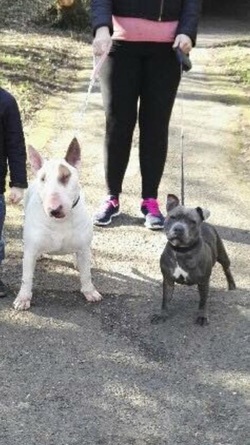 Homecheck and a donation apply.